SAN MATEO, CALIF. – Coca-Cola as an incubator for fast-growing startups? It may seem an odd match, but Alan Boehme, chief innovation officer at the $42 billion beverage giant, says it’s a smart move. Boehme is referring to The Bridge, a program Coca-Cola launched globally three years ago. The Bridge selects 10 startups each year that are given the opportunity to leverage Coke’s marketing expertise. On the flip side, The Bridge gives Coke early access to new consumer technologies. The early results are promising. After three years, The Bridge has spawned 68 pilot programs, 15 license agreements and four global license agreements. Now Boehme, based in Silicon Valley far from Coke’s Atlanta headquarters, is looking to scale it faster. One way is partnerships. 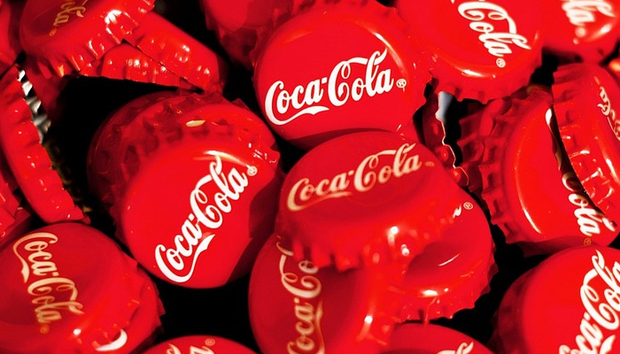 Coke already has a brand partnership with Turner Broadcasting and Mercedes Benz. “The partnership with Turner and Mercedes has been an unbelievable blessing,” says Boehme. “Turner teaches us a lot about where advertising is headed, how content will be consumed by smartphones and websites. Mercedes brings an unbelievable focus on quality, and Coke brings our marketing expertise so everyone benefits. The Bridge has also partnered with such tech heavyweights as Amazon, Google and Microsoft. Some of the services and technologies the startups have produced are things Boehme says the drink giant would never have thought of. This includes augmented reality software that shows a store owner what an endcap (the display at the end of an aisle) product placement will look like. Another offers some interesting ways to reuse content. For example, Coke is reusing its famous “I’d like to teach the world to sing” commercial in movie theaters with an opportunity for select consumers to be part of the song. Another more practical technology uses video technology to monitor wear on truck tires so they can be replaced before there’s a blowout. Not every company can – or should – invest in startups, but that doesn’t mean you can’t benefit from new ideas. In a later panel on innovation, Stephen Comstock, CIO of CBS Interactive, talked about encouraging discussions of moonshots, big ideas that can potentially take the company to the next level. One example was a recent effort to make everything self-service. “When we got out of the way, the ideas that came back were amazing and everyone is participating. Comstock said it’s important to make everyone feel they can participate rather than “siloize” innovation. That said, he noted that someone has to “herd the cats” so there aren’t crazy projects out there that don’t relate to the company’s mission. “We’d love to focus on innovation for innovation’s sake, but if we did we wouldn’t have jobs. It has to be tied back to business needs,” added Tom Cullen, vice president and CIO at Driscoll’s, the $3.5 billion supplier of fresh berries. For Cullen, working with business partners on moonshots is of interest, but he thinks it’s important to focus on improvements to “the small stuff” when it comes to his company. “Maintain trust with your team and create an environment where they feel they can fail and you have their back,” he said. Boehme also made an interesting point about how hard it can sometimes be to evaluate whether what appears to be a good idea is worth investing in because so much of its success or failure can be a function of timing. He recalled Pets.com, which became the poster child for all the high-flying internet firms before the dotcom crash in the early 2000s. But last month PetSmart bought Chewy.com, the leading online retailer of pet supplies (the same idea as Pets.com) for a whopping $3.35 billion.